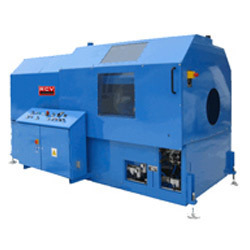 We are counted as the foremost manufacturer, exporter and supplier of precisely engineered Planetary Cutting Unit (PCU). We assure our customers that this planetary cutting unit is brilliant in performance. With the help of basic material & cutting edge technology we maintain the market standards while designing this planetary cutting unit. Our customers can buy this planetary cutting unit with different specifications at very affordable rates. Looking for Industrial Cutting ?